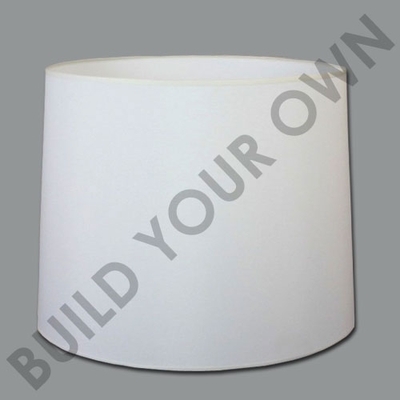 Follow the simple steps below to create your own Tapered Drum lamp shade, once you have selected the size you can select the type of fitting you require ie Table Lamp, Pendant etc. You can then choose the colour, fabric and how you want the lamp shade finished. Your Tapered Drum lamp shade will then be hand made to your specification. Rolled Edge (no visible trim top or bottom) c.
Taped Edge (best matching tape top & bottom) c.
Rolled Edge - (no visible trim top or bottom) s.